If there are two football players that any human being on earth can name, it will either be Lionel Messi or Cristiano Ronaldo. Sweep aside any debates or comparisons of who is the better player. Hold on to your betting hats about who will garner the Ballon D’Or. Or moreover, enjoy that betting whilst it lasts, because this modern football era may not see two such prolific goalscorers and accolade collectors again. Is this a little extreme? No; Ronaldo and Messi are two unique players in their own right and have been talismanic presences for their respective clubs. To try and suggest that younger stars are the protégé’s of such players (as many have) is fruitless. These stars may be able to etch their own names into trophies and awards, but they’ll never replicate the growing legacies of Ronaldo and Messi. In the last week, Ronaldo scored a hat-trick for Juventus to fly past Atletico Madrid and into the quarter-finals of the Champions League. Meanwhile, Messi was not one to slack, grabbing two goals to help his team ease past Lyon. How does Kane compare then? He crucially notched a vital goal in the second leg against Dortmund to kill the tie. Therefore, he too helped his team into the quarter-finals. Furthermore, Harry Kane is also a talismanic presence for his club. Add to that the fact he is the fourth all-time goalscorer for his club. The key thing that is missing to become a great such as Messi or Ronaldo is to win some silverware. Spurs are struggling through a prolonged drought. However, Pochettino’s team led by Kane is the most promising of this recent era. Tottenham still remain in the Champions League quarter-finals, with three other English teams to accompany them. The route to the final is as difficult as ever, but there is no team that Spurs cannot compete against if the players give their all. Champions League quarter-finals odds will be fascinating to follow. 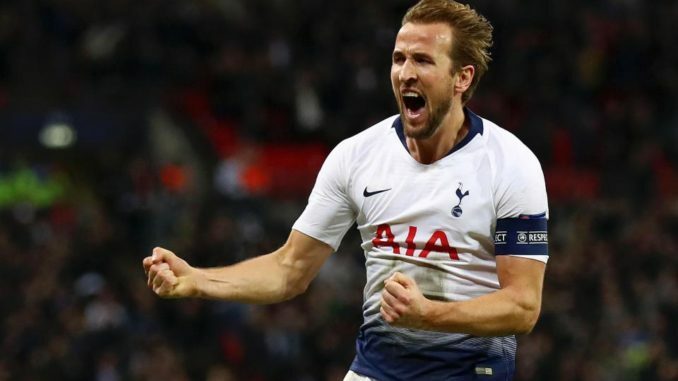 If Kane were to help his team win the Champions League, he will take a massive step on the road to following in Messi and Ronaldo’s footsteps. He has time to keep smashing in the goals and to guide his team to glory. This is a player with the work ethic, the talent and the desire to become one of the greatest players in the game. He just needs his club to invest in the players around him, to support his aspirations and to return Tottenham Hotspur to their former glory.